My favorite Luc Besson movie. Oldman's performance is inspired. 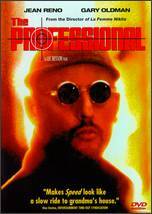 If at all possible watch the international cut "Leon".